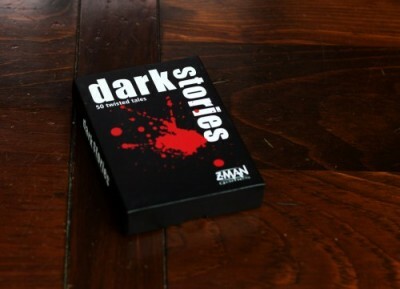 Dark Stories is a social brain-teaser game in which the players are trying to figure out the explanation behind seemingly bizarre or nonsensical stories. The game consists of a deck of 50 cards. Each card presents a scenario on the front, and the explanation on the back. 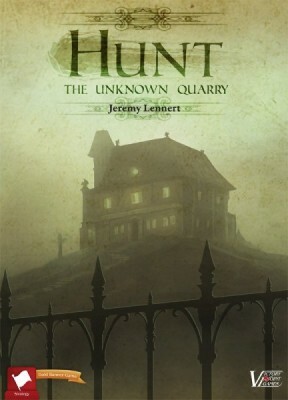 As well as being an exploratory discussion about miniscule dice, this here written page is also a review of Hunt: The Unknown Quarry, published by Victory Point Games. It’s a deductive combat game for 3-6 players about bounty hunting scary monsters and trusting absolutely no one. And tiny dice. It comes in two editions: boxed, and the (very slightly) cheaper polybag version. I was sent the polybag version of the game, so the review will reflect that. Will figuring out who that pesky beast is finally unlock the secrets of the little pink cube? Do we even want it to? These are important questions. 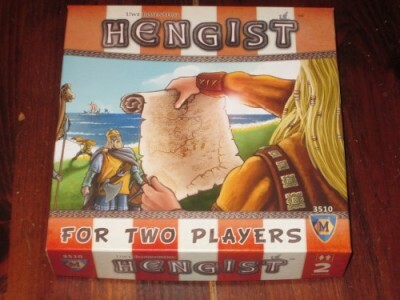 Hengist is a two-player hand management game. Players are Saxons who are raiding the British countryside for treasure. The player with the most points when the boat sails off the final board is the winner. 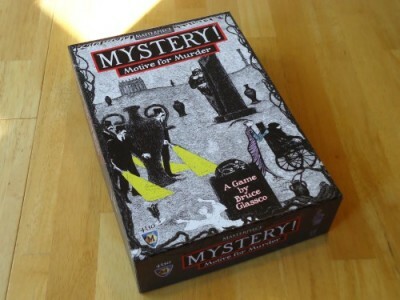 In Mystery, Motive for Murder, a stabbed body is discovered in the courtyard of a stately English mansion. The location and method of the murder are obvious. What’s left for you, as the investigator, to discover is who did it and their motive. To accomplish this, you will interview suspects, uncover their relationships to the victim, and figure out who had the greatest motive for murder. In Bountytown players are encouraged to collect Bounties. 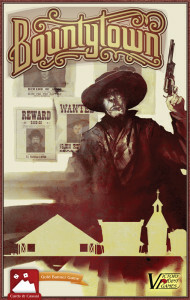 There are desperados that players can duel with in the town in order to capture and increase their Renown. Renown is needed to win the game. Players can also attempt to steal Bounties from other players by dueling. Dueling is resolved using poker-like card-play. Players can buy or obtain one-time use items which can enhance dueling, movement, or hand management. Zombie Tower 3D is a semi-cooperative board game where players are trying to survive in a crumbling, zombie infested tower. Each player will control a survivor on their hidden side of the tower. 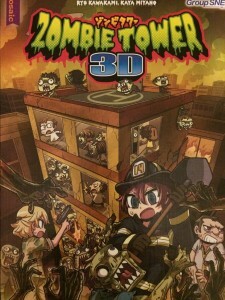 During the game, players will be moving around the tower and must spend their actions both fending off zombies and searching for useful items. Players have 12 rounds to find both a vaccine and also the equipment they need to escape. If any player dies or they run out of time, it’s game over. 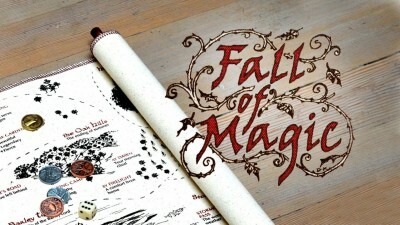 Ross Cowman's Fall of Magic is, indeed, magical. It's the kind of game you become immersed in, losing track of time, only to find yourself wandering out later from a rich and compelling world of your own creation. Like some wardrobe-portal to a new and fantastical land, you'll find yourself yearning to find a way back. Luckily for all of us, continuing our journey to Umbra doesn’t require any train wrecks or magical paintings. Only one to three other players, and a few more hours of our time. 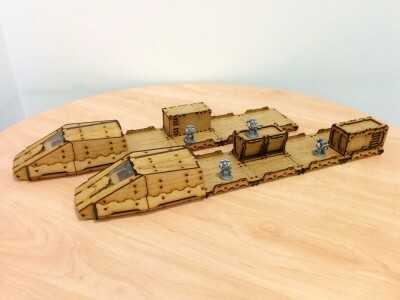 We’ve just been building another great kit from Terrakami Games, their MagLev Train MKII kit designed for use with sci-fi wargames like Warhammer 40k and Infinity. This kit works well with Terrakami’s Sci-Fi Containers which we recently reviewed, along with other kits we’ll be reviewing in future like Terrakami’s Sci-Fi Container Crane. 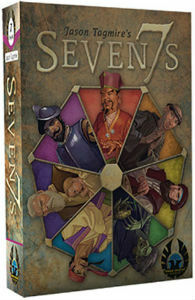 Seven7s is a light card game that is quick to play and easy to teach. Can you score more VPs than your opponents? 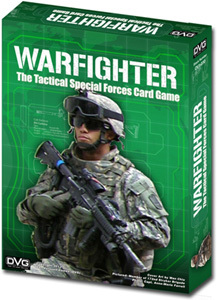 Warfighter is a cooperative, tactical card game. You must select a group of soldiers and outfit them to complete missions without dying. I have never been to war. I have watched war movies. I’ve played war games. I’ve followed news of war. I’ve read books on war. I’ve talked up going to war. I’ve talked down going to war. I’ve talked to some who have been to war. And after all that, I suspect that what I know about war is that I don’t really know it all. Phantom Fury by Nuts! 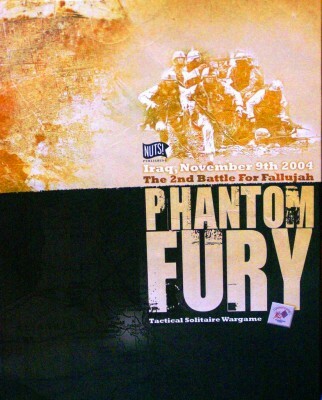 Publishing is a solitaire wargame that concentrates on the fighting carried out by the 3rd Battalion, 1st Marines on the morning of Nov. 9, 2004 in Fallujah, Iraq. If you want to drill down even further, the map depicts the north-west Jolan district.